Can a Minor Carry a Knife in Arizona? Knife laws in Arizona are considered relatively lenient but there are still a few limitations. Certain types of knives are considered illegal and there’s also an age limit applying to those who could carry a knife. A.R.S. 13-3101 and 13-3102 provide specific information about what’s legal and illegal in terms of carrying knives. Individuals under the age of 21 cannot carry a non-pocket knife openly or in a concealed way legally. In comparison, those over the age of 21 can carry knives either openly or concealed without facing legal repercussions. This rule applies to all kinds of deadly weapons and not just knives. A violation of the law is classified as a Class 3 misdemeanor and it leads to criminal charges. As you can see, the only legal option is a common pocketknife. Minors can carry a pocketknife that is under four inches in length. Anything that is larger will be considered a concealed weapon and it will contribute to legal troubles. Keep in mind that specific circumstances could lead to even more serious charges. Carrying any type of knife, including a pocketknife, on school property will contribute to felony charges. It is best to wait until one turns 21 before carrying a knife. In order to bring a knife everywhere for self-defense purposes, you will need a concealed weapons permit. Are There Illegal Types of Knives? In some states, it’s illegal to carry certain types of knives, even if you’re over the age of 21 and you have a concealed weapons permit. The situation is different in Arizona and the legislative framework isn’t as strict as in some other parts of the US. Pocketknives are legal in the state. So are balisong (butterfly) knives, switchblades, bowie knives and gravity knives. There are also no limitations when it comes to automatic, assisted opening knives, folding knives, double-sided blades and stilettos. There is no legal limit in terms of permissible knife length in Arizona. The de facto limit is introduced only in the case of individuals aged 21 or younger. These people are allowed to carry only a knife that’s small enough to fit in one’s pocket. In Arizona, there are also no prohibitions when it comes to transferring or selling knives – a law that turns Arizona into one of the most knife-friendly states in the US. Carrying a knife will qualify as a crime in very few instances. If you commit a crime with a knife (a robbery, assault, homicide), however, the situation will be different and the scope of the consequences isn’t going to be dependent on age alone. If you live in Arizona and you’re over the age of 21, you’re free to go to a knife store and buy any kind of blade that you fancy. Such knives can be carried openly or in a concealed way, as long as you have the permits required by law. Having a knife on you is fine but don’t use the blade to commit a crime. Trafficking weapons, including knives, to assist a criminal street gang is a felony. The same applies to possessing and carrying a deadly weapon while committing a felony crime. Committing a crime and using a knife will contribute to much more serious consequences than committing the crime in the absence of a weapon. It is also illegal to refrain informing a police officer that you’re carrying a knife on you. When you’re stopped by a police officer, you will have to provide information about the blade you’re carrying, unless you have a small pocketknife. 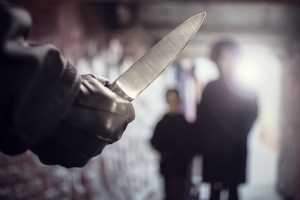 If you’re facing any kind of knife-related charges, you’ll need to get in touch with a criminal defense attorney. While Arizona is a knife-friendly state, there will still be serious legal consequences if you’ve committed a crime. 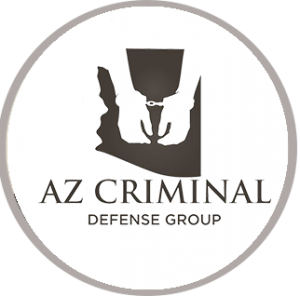 Click here for information on affirmative defenses for DUI in Arizona.